When the human race is in danger of being wiped out of the galaxy, we have no choice but to send our best warrior to stop it! 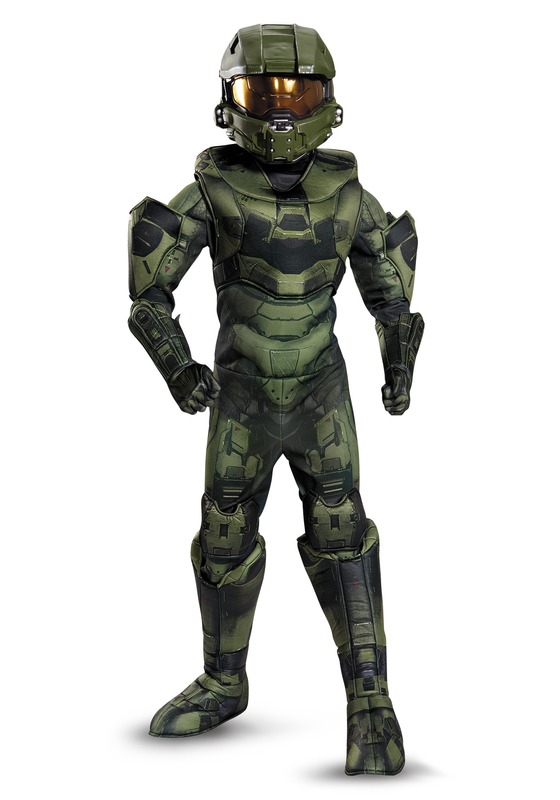 We're talking about the Master Chief, and your little one will have a blast dressing up as the legendary super-soldier in this official Master Chief Prestige Costume, from the hit video game series Halo! Your kid will look ready to spring into action whenever intergalactic peril arises when he's geared up in this awesome Prestige quality costume! 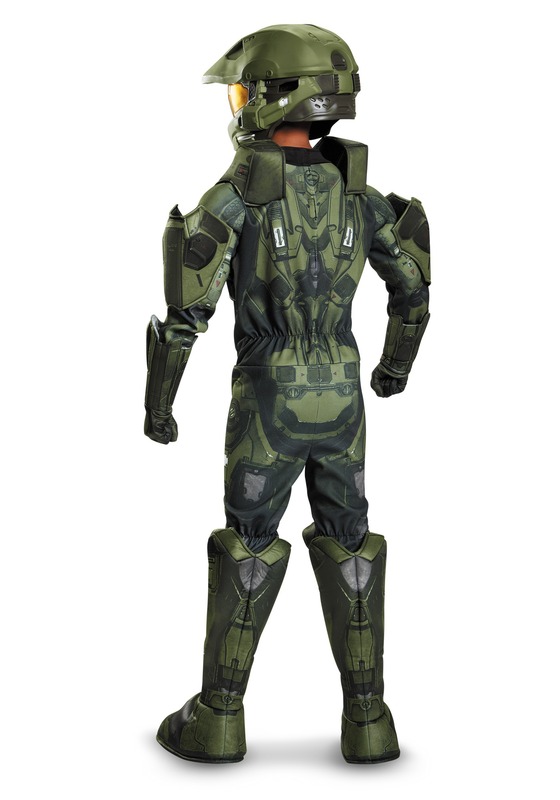 The jumpsuit is printed and stitched to look like Master Chief's power armor, and features foam armor pieces to make him look even more formidable. Once he puts on the included matching boot tops, gloved gauntlets, and the highly detailed helmet, he'll look just like the real deal. Mankind's foes won't stand a chance!